Many of us with running addictions also hoard a collection of race t-shirts somewhere in our wardrobes. In truth, you may never wear any of these mementos again- but you just can’t bring yourself to donate them to the thrift store. The Wings organization is no different. 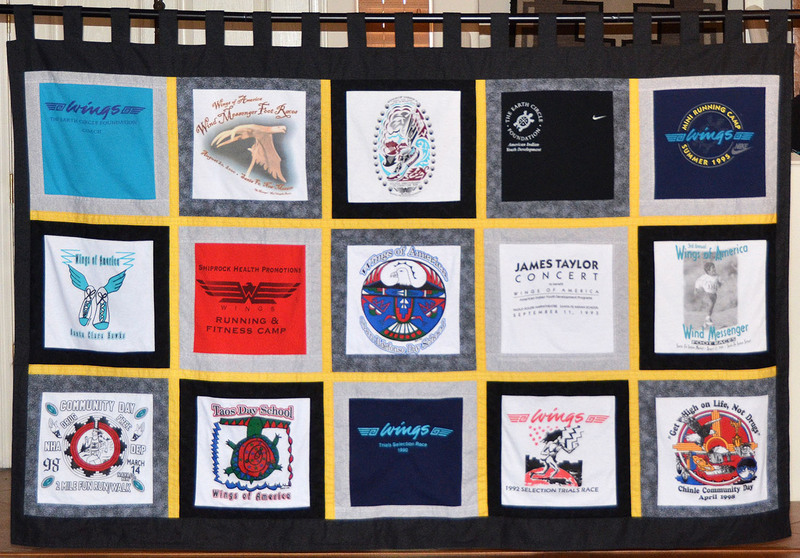 Between National Team selection races, community events, youth cross country leagues, summer Running & Fitness Camps and Indian Market 5K’s, the Wings logo and name have adorned hundreds of t-shirts since 1988. Thanks to an industrious member of our Board of Directors, Cathy Short, visitors to the Wings office will soon be able to peruse t-shirt history. 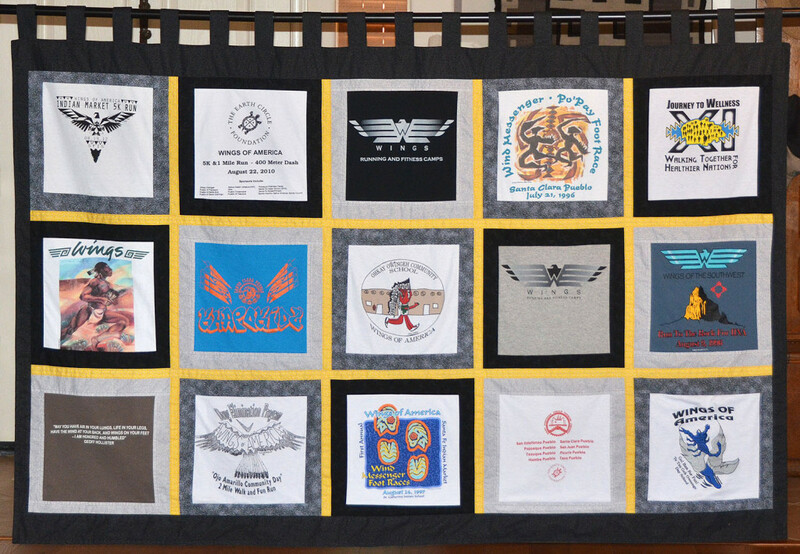 At the request of our Program Director, Cathy took dozens of archived Wings tees and turned them into “history banners”. Take a look. Perhaps you remember a few of these tees? More importantly, perhaps you remember the race, run, walk or game you took part in the day you got that shirt? If you appreciate Cathy’s work, please “Like” her studio, Lizard Light Productions, on Facebook by clicking “Post” or “Lizard Light Productions” just below. Post by Lizard Light Productions.